The federal government of Nigeria has approved contracts worth over US$3.6m in an effort to strengthen broadcast stations for the proper dissemination of news and information. Minister of information and culture Alhaji Lai Mohammed made this known at the Federal Executive Council (FEC) meeting that took place in Abuja recently. The media organisations to benefit from these contracts include the Federal Radio Corporation of Nigeria, News Agency of Nigeria and Nigerian Television Authority (NTA). During the FEC meeting, Mohammed said: “I also presented three memos on behalf of three parastatals in my ministry: the NTA, the News Agency of Nigeria and Federal Radio Corporation of Nigeria. “The memo by the NTA was for approval for the award of contract for the procurement of cameras, microphones and television packs for a total sum of N283,813,990.75 (US$788,000).” He further stated that only two attempts had been made in over 20 years to upgrade the NTA’s equipment. 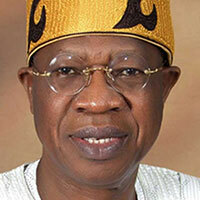 “Also, the News Agency of Nigeria also presented their memo. But, here, largely they wanted vehicles for them to gather and disseminate news. So, the contract for the procurement of 15 vehicles from Peugeot Nigeria Ltd was awarded to them for N148, 740,900 (US$413,000),’’ he added.